It's a half hour past midnight, the sun low but bright on the horizon, and the blows, surface squeaks and whistles of the whales can be heard loud and clear from the research cliff. I arrived today at Arctic Watch Wilderness Lodge to a sunny and summery Arctic, a kind, warm(ish) temperature (which, up here, still means a down jacket), a few daring mosquitos (infrequent at this latitude), and only a few ice patches remaining at the mouth of the inlet. Dozens of belugas, I'm told, arrived yesterday, July 10th. 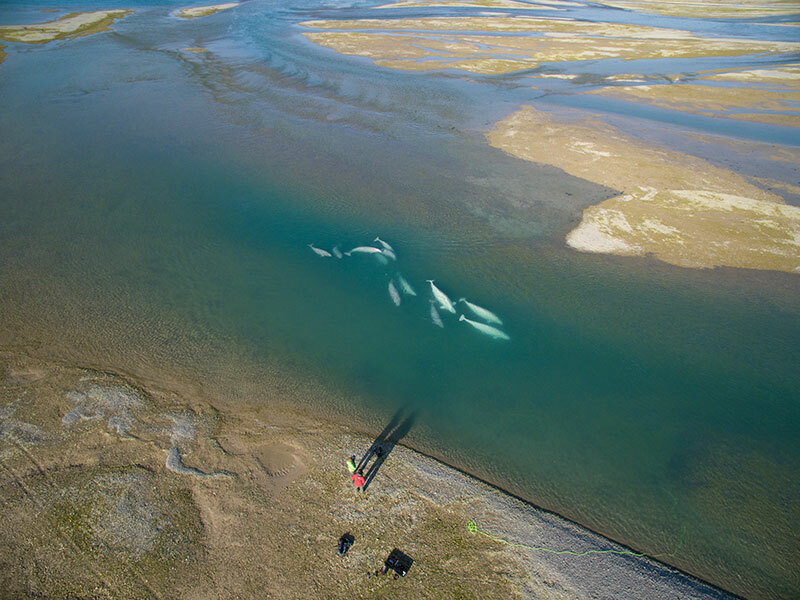 This time of the year last season, the area was frozen, ice and snow dominated the landscape, and the belugas made an unusually late appearance two weeks later. My excitement had no bounds as my charter plane flew over the blue waters of the inlet dotted by the unmistakable white whales that had already made themselves at home in their nursery. I wanted to dive from the plain, hydrophone in hand, my jacket as a parachute, and get started right then and there (thankfully, common sense prevailed) on my efforts conducting beluga whale communication research. My hosts, the Webers, a family of seasoned North Pole and arctic explorers – Richard Weber, Josée Auclair and their sons Tessum and Nansen – and Quark Expeditions® outdid themselves with my research tent this year: A spacious and dry haven replaced last season’s leaky yurt. Two oval-shaped windows allow me a view of the bay. I have shelves for my gear, a large table, and a Coleman stove. I spent the day getting organized and I am now settled, ready to start my research and turn another page of this fascinating story about loquacious whales in a melting and increasingly noisy Arctic. Valeria Vergara and Nansen Weber observing a group of 12 whales, 5 adults and 7 juveniles temporarily entrapped in a river channel at low tide. The green hydrophone cable (to record the whales) can be seen to the right of the picture. Photo by Nansen Weber. A day has passed since my last entry. The morning was productive, obtaining my first recordings of the season, but the whales were for the most part quite far, congregating in an inaccessible area of the large delta. By early afternoon they had cleared the inlet and not a single whale remained. I am sure the next group will soon arrive, as the whales come into the inlet throughout July and only start vacating the area in August, to start their long migration back to their wintering areas of open pack ice north of Baffin Bay, and along the west coast of Greenland. I took advantage of the beluga-less bay to take measurements of the underwater ambient noise in this pristine habitat. I am now, once again, sitting by my tent well past midnight, observing with the spotting scope a mother polar bear and her two cubs meandering on the ice edge just across the water. They are far enough for peace of mind, but close enough for me to watch them go about their bear-life. Another adult crossed paths with them at one point, with no visible aggression nor greeting, just an unceremonious “to each their own”, as they continued on their separate ways. I have been glued to the spotting scope for two hours, unable to bring myself to call it a night and go to sleep. And really, how does one sleep with a bright sun defying the mind’s insistence that it is night-time, and four polar bears roaming around? The whales came back steadily throughout the next day, until, by mid afternoon, there were over 100 belugas socializing in the shallows of the delta, right were the fresh water from Cunningham River meets the salt water of the inlet. I recorded hours of extraordinary data, both at the research cliff where we were joined by Arctic Watch guests curious about the research process, and on the delta at low tide. I could recognize some calls from last season, and could pick out the tell-tale contact calls of the calves, door-creak-like. I stood transfixed, immersed in an overwhelming cacophony of sounds (the hydrophone was connected to a loudspeaker), taking copious behavioral notes as the adults, calves and juveniles came closer and closer to where I was standing. I often describe this area as a behavioral ecologist’s dream, as it allows uncommonly intimate contact with the whales, a tremendously rare opportunity to observe and understand this species. I reflected on what an incredibly tactile species belugas are. Calves ride their mothers’ backs. Groups of juveniles roam in very tight groups, forming “beluga chains”, each animal resting their head and upper body on the preceding animal. Large males band together and form “rafts”, always keeping one part of their body in contact with each other as they rest (which they do, as all cetaceans, with one brain hemisphere at a time so that breathing can remain under voluntary control). And the acoustic communication simply never ceases, as belugas use sound to mediate their complex social interactions. The research continued throughout the week. I recorded yearlings and calves gathered under the research cabin, an important opportunity to understand more about lower frequency sounds young animals make (potentially more easily masked by boat noise).  Any research project benefits immensely from cooperative efforts. My photographer friend that shares this research cliff with me has been assisting by skilfully synchronizing her video with many of my recording sessions, which facilitates correlating behaviour with sounds. Nansen Weber’s drone video and pictures also add a hugely valuable component to the project. It is astounding what we can learn from a couple of hundred feet up in the air. Since the small drone hovers at a high enough altitude, the whales really do not seem to notice it, and we can thus get accurate counts of the number of whales frequenting the inlet on any given day, and confirm estimations of group composition, spread, and numbers, to supplement acoustic data. It is now near the end of the first week at Arctic Watch. The inlet is full of life, with over 300 belugas occupying several of the channels of the large delta. There is no doubt they are here to stay. Dr. Valeria Vergara’s research on the Cunningham Inlet beluga whales is generously supported by Quark Expeditions, the Arctic Watch Beluga Foundation, the Weston Foundation, and the Vancouver Aquarium.